Agency Jack Morton Worldwide has strengthened its US team with three new senior appointments in New York and Detroit. They include Cara O’Neill, who has been appointed as executive vice president, group account director of the Chevrolet account in Detroit, Russell Rinke, who’s been made creative director in Detroit and Hugo Burton who has joined as associate creative director in New York. O’Neill has extensive experience in the automotive industry, having worked with leading brands including Jeep, Chrysler and Lincoln. Previously, she held the position of SVP, group account director at GTB (formerly Team Detroit) where she led initiatives for the Ford brand. Rinke also joins Jack Morton from GTB, where he served as VP, associate creative director for eleven and a half years, working on the Ford and Lincoln/Mercury accounts. 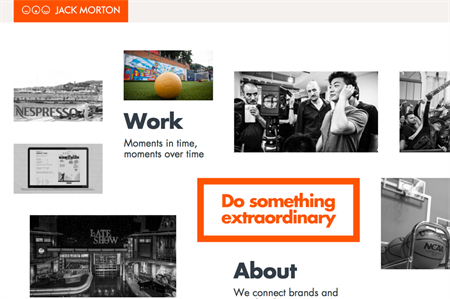 Meanwhile Burton has joined from Traffik, Sydney, where he was a copywriter and worked with clients including Samsung, Visa, Dyson, Airbnb and Captain Morgan.